There’s something infinitely fun about skating on four wheels to the sound of funky music, as anyone who’s been to a skate party will tell you. With this in mind, the organizers of Skate Love Barcelona are returning for an event celebrating everything to do with skating, music and dancing. Bringing the block party vibe to the beach in Badalona, this year’s party promises to be bigger and better than last year. Kicking off on Friday night with the Skate Love Disco at Catwalk, the weekend brings workshops, shows and performances from international skating stars and athletes. Confirmed artists so far include Marc Angel, Gigi Roller Clown, Cecile Klaus, Marawa’s Majorettes, Erika Cordeiro, SkateXpress, Ibou Sene and the local skaters from BCN Roller Dance, with more to be announced. 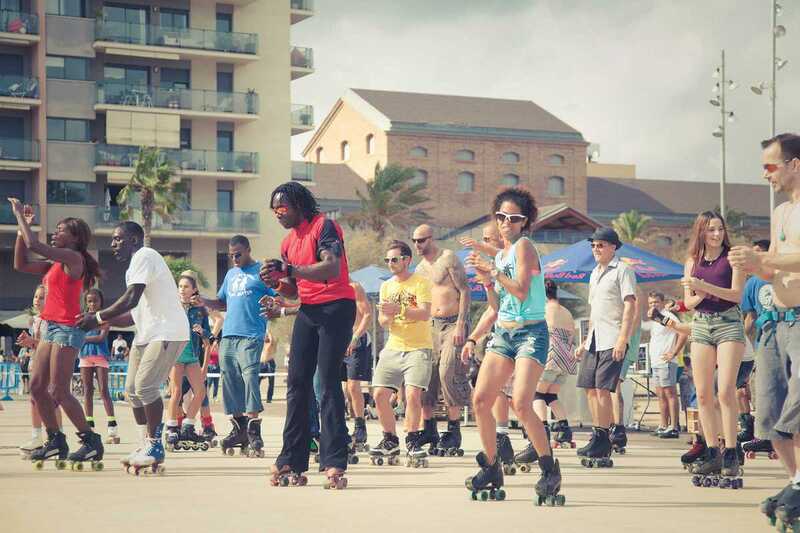 So if you’ve ever fancied yourself as a bit of a roller disco diva, now’s your chance to dust off your skates, get down and bust some moves on the beach.